Molokai is a bit different from the other Hawaiian islands. Development has passed us by – mind you we like it like that. No chain stores, no houses taller than the palms. Only one road and our rush hour is over in a few minutes. 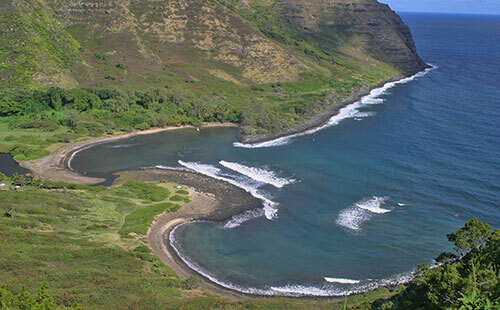 Molokai will fit well into your well-earned vacation if you love nature, Hawaiian culture, rural living, no crowds, unspoiled landscapes, few people, and diving off Hawaii’s only barrier reef – 28 miles long! and generally a restful outdoor, cultural vacation. 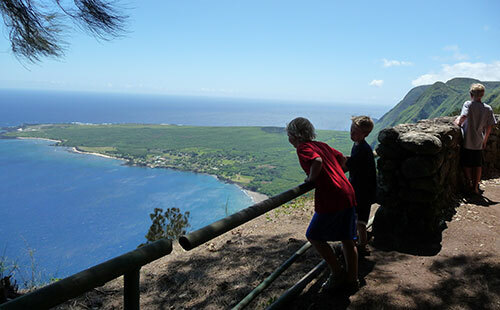 Molokai has a lot to offer people looking for a more natural vacation – hiking, water sports, time to reflect, whale watching, historical sites and glimpses of the ancient Hawaii, music, meeting artisans and crafters, good food, and country living. A hike into the world’s highest bog is a must (National Geographic September/95 issue – native plants). 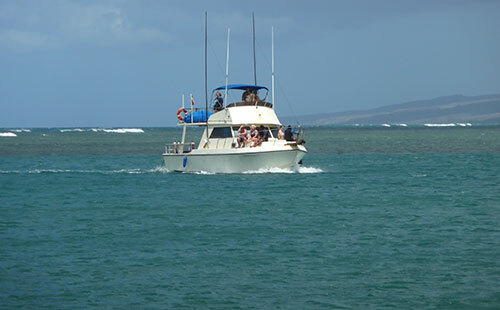 Some of our guests have spent two weeks on Molokai and don’t see and do everything they want to do. Although we are only 38 miles long, Molokai is an island that takes exploring to really appreciate its unique character and for it to reveal its secrets one at a time. 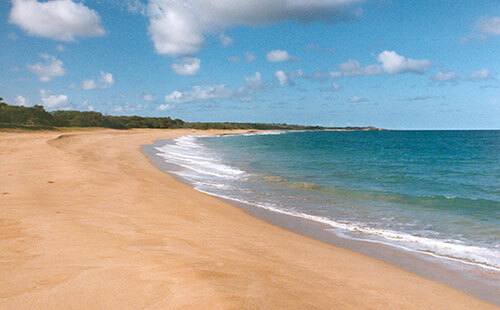 If you enjoy the outdoors, then Molokai is the place and the best part…no crowds anywhere and in doing anything. 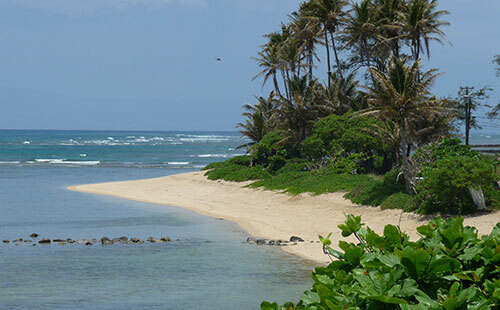 There is no other place in Hawaii where you can be on a beach all day and see no one, or snorkel on the 28-mile barrier reef and be the only ones! You almost never see anyone except some animals when hiking and some of our landscapes are the most spectacular in the world. For a small island we have very special places like the majestic pali coast with the highest sea cliffs in the world, or lonely Moomomi with some of the last endangered coastal plants and where turtles still lay their eggs and monk seals beach, or the bog (highest in the world), or the fern forest that lived prior to anyone coming to Hawaii and where the ohia trees are older than anyone alive and you see this with no one else around. The list goes on. Kayaking is easy. They are available for rent on the south shore just down the road from us. We kayak a lot within the reef and venture outside in the winter to see the whales when there are no trade winds. 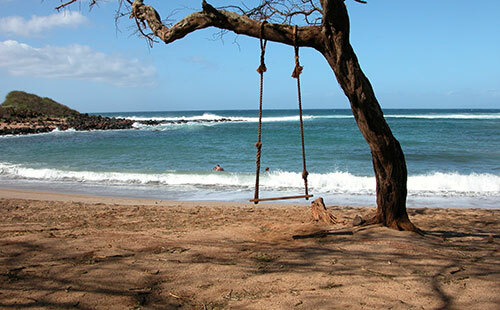 Do as much or as little as you want on Molokai. 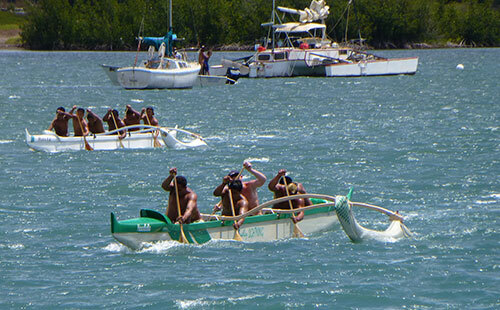 Molokai is a place of experiences. 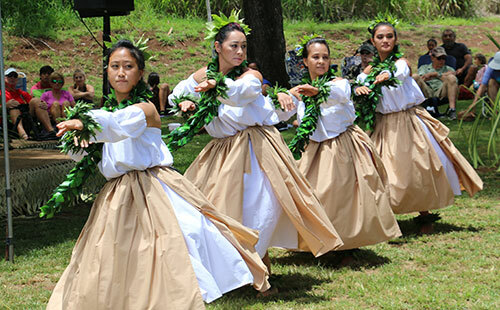 Experience a living, rich Hawaiian culture, rural living, ancient foods, ancient places, ancient legends. 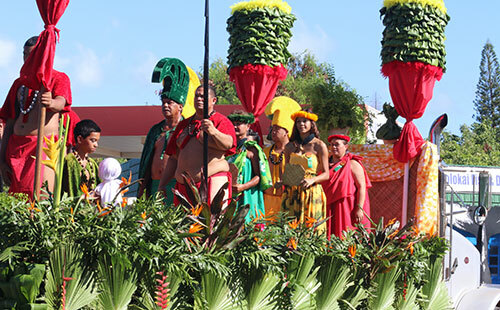 Hawaiian have an oral language so the stories are rich and spiritual. 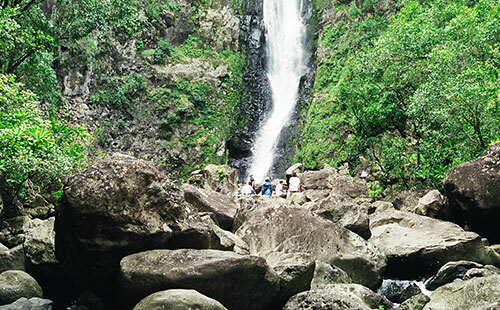 Experience Molokai’s spirit and you’ll find out why visitors are moved to emotion when they say aloha at the end of their stay on this rural Hawaiian Island.